Coins 15 Continental Greece. Kings of Macedon. Alexander III 'the Great' (336-323 B.C.). 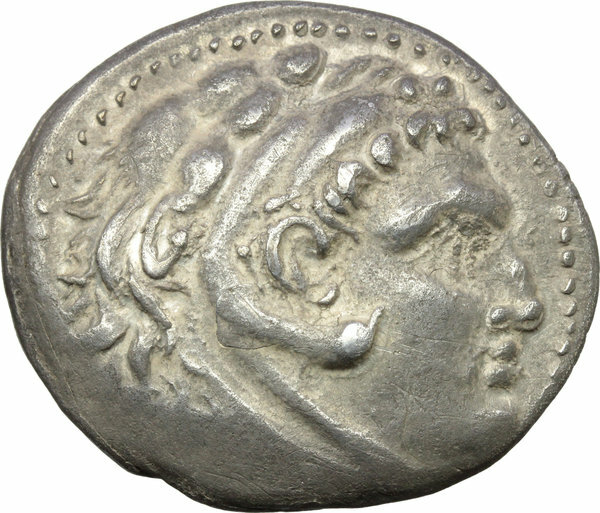 AR Tetradrachm, Pergamum mint. Struck c. 215-200 BC. D/ Head of Herakles right, wearing lion's skin headdress. R/ AΛEΞANΔPOY. 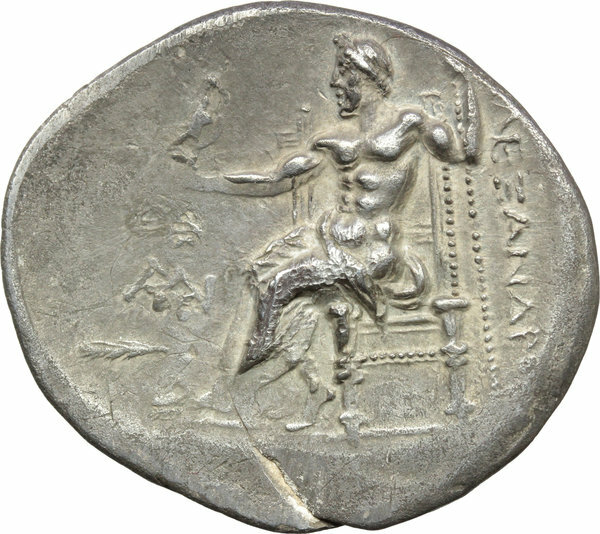 Zeus seated left, holding eagle and sceptre; in left field, monogram and palm-branch. Cf. Price 1485 var. AR. g. 16.65 mm. 32.00 R. Rare variety. Attractive grey patina. Good VF.